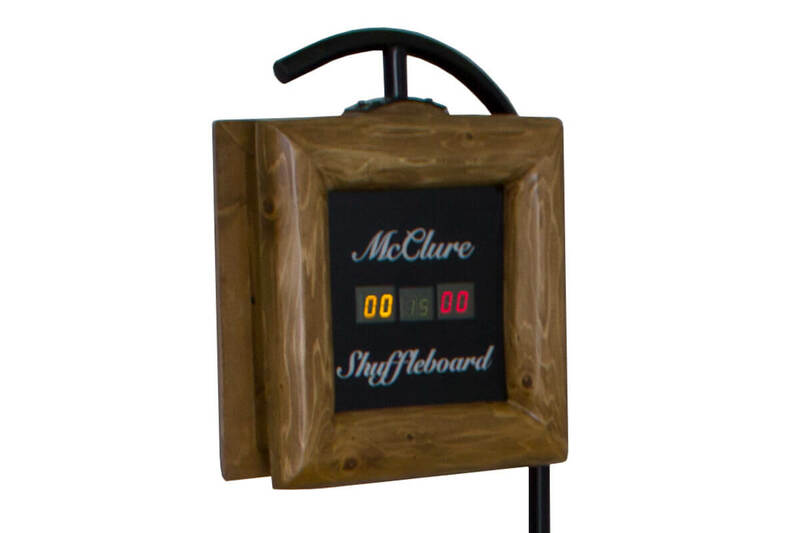 Shuffleboard Small Pine Wood Square face on J-Bar Metal pole this style is designed to match our Montana Style Shuffleboard. If ordered with a shuffleboard Table the finish color will be done to match the finish of the table. This type score unit have a wire harness for remote control boxes on each end of the cabinet. If ordered with table the cabinet will be fit our will have matching control boxes to match with the cabinet.